USG Durock® Brand Cement Board offers architects, builders and tile contractors a strong, water-durable tile base for tub and shower areas. Also an ideal underlayment for tile on floors and countertops in new construction and remodeling. Board is readily applied over wood or steel framing spaced 16" o.c. with corrosion-resistant wood, steel screws or hot-dipped galvanized roofing nails. After joints are treated, wall or floor tile is applied using latex-fortified mortar or Type I organic adhesive. 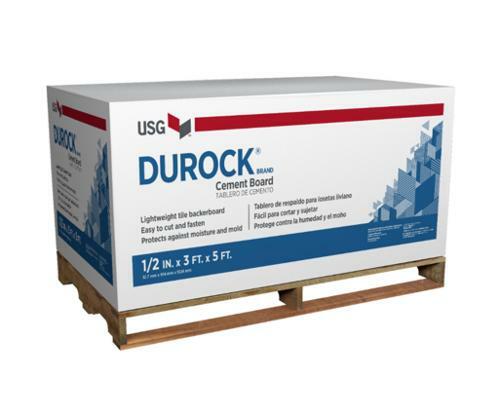 USG Durock® cement board is preferred by many applicators as a base for directly applied finishes, tile, stone and thin brick used in building exteriors.